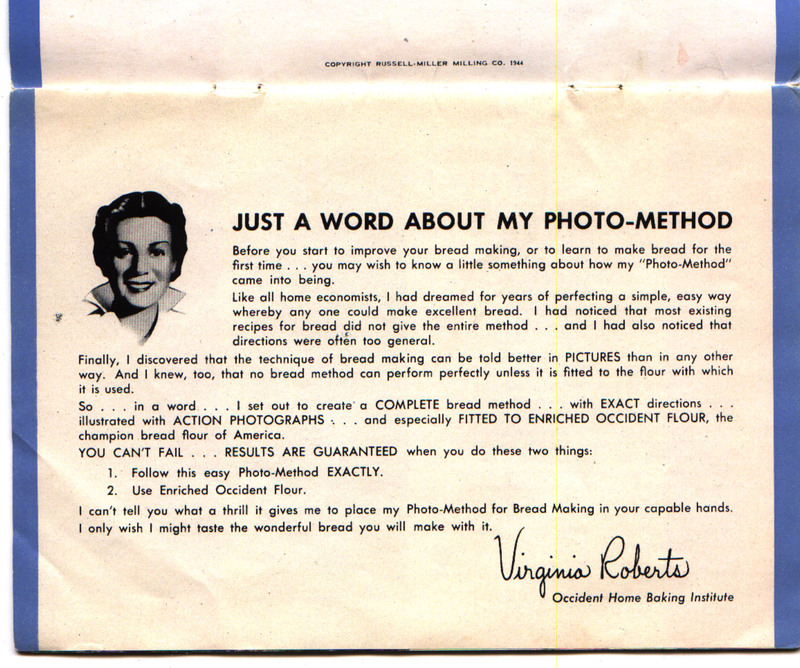 Things Your Grandmother Knew: What Is The "Photo-Method," You Ask? Before you start to improve you bread making, or to learn to make bread for the first time...you may wish to know a little something abut how my "Photo-Method" came into being. 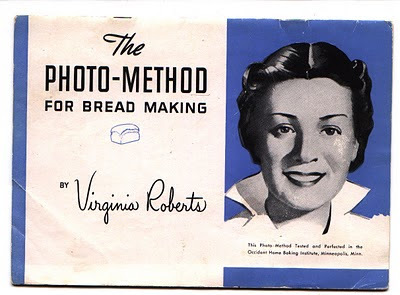 Like all home economists, I had dreams for years of perfecting a simple, easy way whereby any one could make excellent bread. 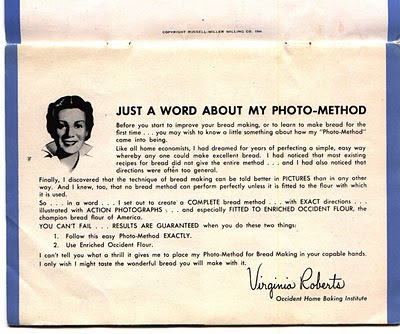 I had noticed that most existing recipes for bread did not give the entire method...and I had also noticed that directions were often too general. 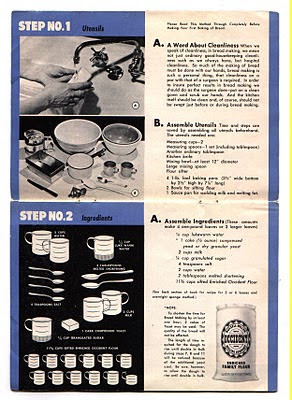 Finally, I discovered that the technique of break making can be told better in PICTURES than in any other way. And I knew, too, that no bread method can perform perfectly unless it is fitted to the flour with which it is used. 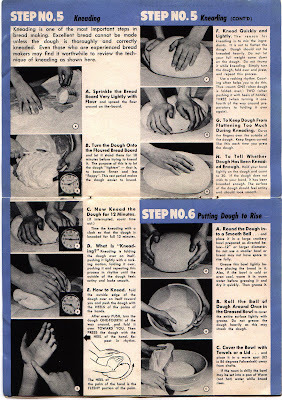 So...in a word...I set out to create a COMPLETE bread method...with EXACT directions...illustrated with ACTION PHOTOGRAPHS...and especially FITTED TO ENRICHED OCCIDENT FLOUR, the champion bread flour of America. The result is a booklet with photo instructions along with recipes -- a forerunner of today's video tutorial!